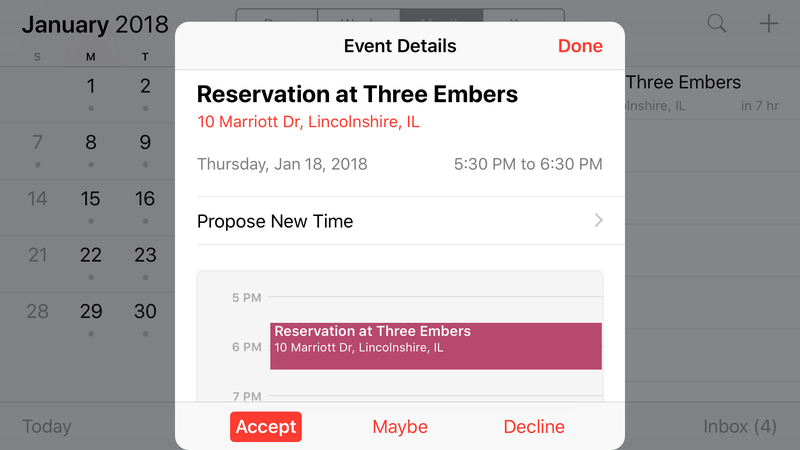 No, Gcal, I am not planning to eat at Three Embers restaurant in Lincolnshire, Illinois tonight. But the reservation is there in my Google Calendar, a perplexing invite from an “unknown organizer.” And I’m not the only one experiencing this. Twitter users and friends of mine on Facebook have reported the same bug, leading some to logically conclude our calendars are haunted. I’ve also received notifications that I’ve been invited to dinners at restaurants in Denver and New York City. The Takeout has reached out to Google for comment on why this is happening. We’ll update this story once we know more. In the mean time, is this happening to anyone else?